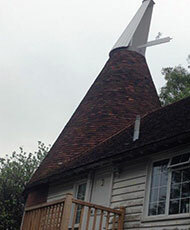 Originally fitted to the top of the kiln roof, oast cowls allowed hot air to be drawn through the hops and out through the roof of the oast house. Specially designed to keep the kiln waterproof, the cowl also turned in the wind to ensure the clearest path for the hot air. 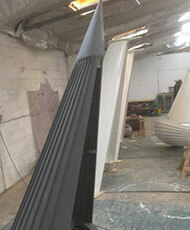 There are a number of different oast cowl styles across the UK. Whether you are from Kent, Sussex, Hereford, Worcestershire or beyond if your oast cowl needs to be replaced, it’s important to ensure that it is in keeping with the original style. 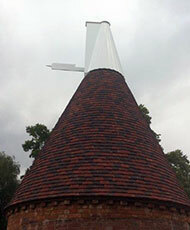 Kentish cowls are the traditional cowls you find on most oast houses. Their cap gives the appearance of a flat roof to the cowl, which can also be found in Sussex cowls. Kent cowls are not bound by their location; we often see Sussex cowls in Kent, and vice versa. 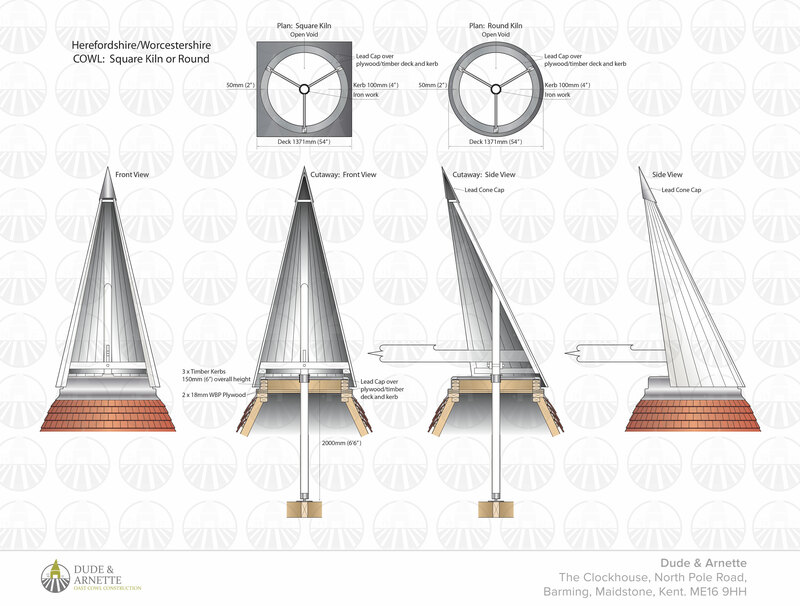 We have generations of experience in constructing kent oast cowls with traditional techniques as you can see in these technical drawings. From a distance Sussex cowls can easily be mistaken for Kentish cowls, thanks to their flattened tops, however, their elongated top plate and front wings differentiate them. These front panels are often known as ‘blinkers’. 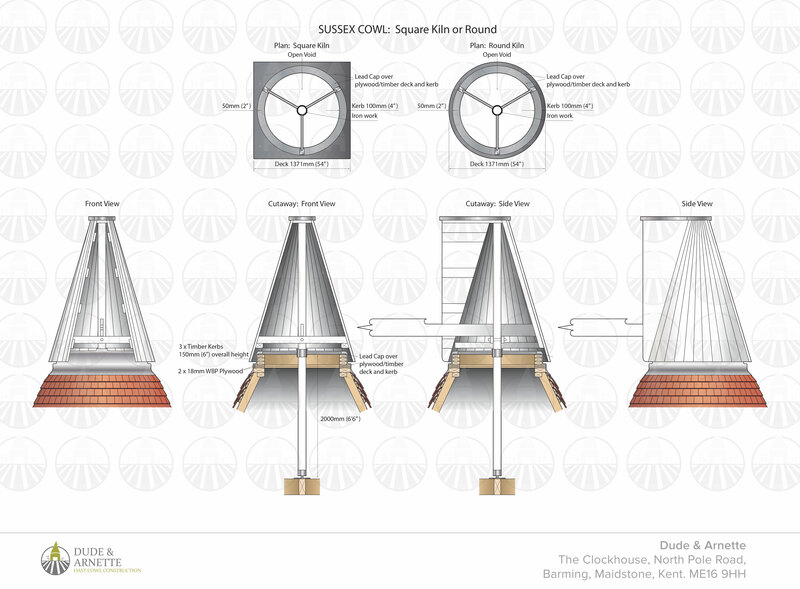 See the details of Sussex oast cowls here in our technical drawings. Hereford & Worcestershire cowls have a very different appearance from both Sussex and Kentish cowls. They do not carry the cap and instead have a pointed tip. 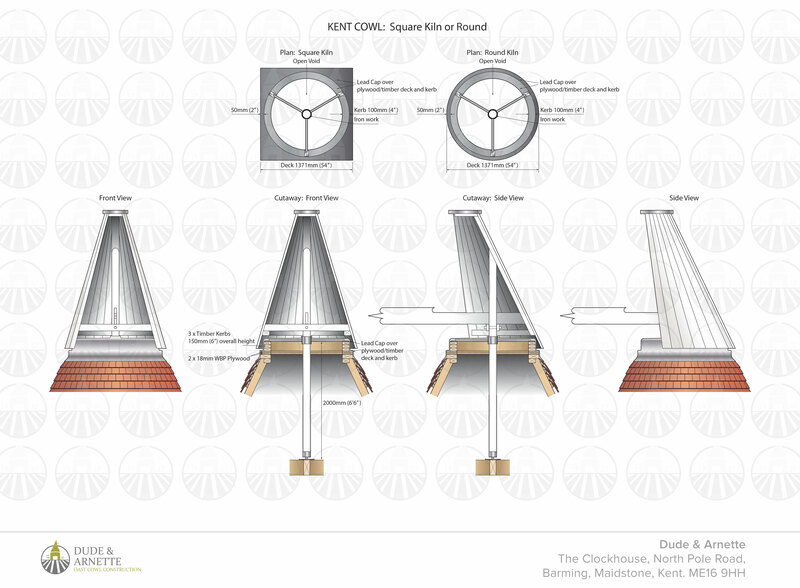 We pride ourselves in being oast cowl experts across the UK, as you can see here in our technical drawings for Hereford & Worcestershire Cowls. If you aren’t sure which cowl your oast house has, we are happy to take a look during our free consultation, and advise you on the next steps to repairing or replacing your oast cowl. We can also discuss the addition of your own decoration to the cowl. Call us on 01622 725 898 or visit our Contact Us page for more information.